Conditions: Late season post season hike up Keystone for 18 inches of fresh, ABasin was late spring with firm slush. Binding Adjustability: There are two bolts that run through the aluminium wings at the back of the frame. To adjust for size you loosen the bolts, pop them in, slide the heelcup/highback forward or back, and tighten back down. The slots the nut side fits into can be a little tight but usually with some wiggling they slide into place easy enough. The straps are on cams for the medial side that pop easy enough. There is a little bit of a learning curve to get Flows adjusted right for proper response but ease of entry. I’ve been riding them for a few years now and find that adjusting them in this order works best: highback, front half of the strap, back half of the strap. Typically only minimal adjustments are needed on mountain with that. Straps: The single Fusion strap works well in distributing all the strap pressure over as much boot as you can. When adjusted right it basically disappears on your boot. It can visually seem odd and like it doesn’t fit if you’re coming from a traditional strap binding with a toe cap since you can see the toe of your boot. It’s got a squishy feel to it and was super comfortable. Ratchets: The locking ratchets are a little stiff, especially to release, but they do work as much as you really need them too. The more you use them the smoother they get, but the more you lock and unlock them the looser the lock gets. It’s not something that you’ll notice if you’re just using the ratchets for occasional adjustments or in the odd situation where you can’t use the highback, but if you use them as your primary mode of entry the locking capability may wear out. Highbacks: They’re a two piece system with the lower that is essentially the heelcup and the upper panel. The upper on the GT’s is a stiffer Nylon mated to an aluminium lower heelcup. They’re stiff and supportive. Binding Flex: The nylon frame offers some flex and really good board feel. It’s a little more playful underfoot than the aluminium frames on the NX2’s but the stiffer highback offers a lot of support side to side. The other factor is the cable. There isn’t much of any flex straight back as your pulling on a steel cable. Flows inherently are super responsive front to back because of the cable. Going from the top of the highback straight to the frame you skip a whole section of the way energy gets to your board from your highback. More energy more directly. Ride: The footbeds on the Fuse line are canted 2.5 degrees to help take pressure off you knees and are a more rubbery EVA than most. They still ride really smooth but the foam is a little stiffer than your typical EVA and soaks up larger impacts better. Rider in Mind: All mountain rider everything looking for response edge to edge. Personal Thoughts: These matched up really well with both the Solitude and the Aether which to me speaks to their versatility. The softer frame and stiffer heelcup and highback together really land them as a binding you can put on just about anything and ride just about everywhere. *Disclaimer this binding did not change for 2018 so we carried the 2018 review over. 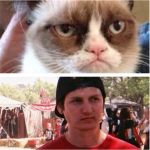 The Angry One Says Use Step Ons! No actually you probably want the Fuse-GT it’ll be soft and playful but still stable enough for cruising the mountain. 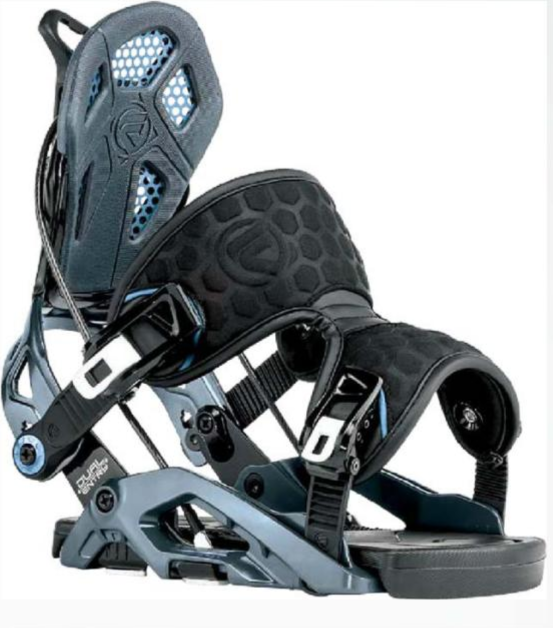 I ride a Never Summer Insta/gator and I really need some binding recommendations. I learned to fly using flow M9’s however it’s time to switch it up. I want something lighter that will be really fun but can hang with me when i’m going buck. 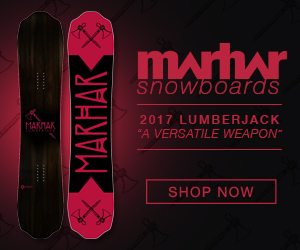 Well there’s these if you want to keep putting it in the back door, but if you want to go through the front check out the K2 Formula, Ride Rodeo, Rome Katana or the Vice, and the Burton Cartel or Malavita. 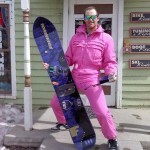 Angry snowboarder, now that you’ve tried Burton Step Ons and the latest Flow bindings…. what do you recommend for an all-mountain rider that is occasionally chasing kids around the park? Thanks!